The BoBunny Blog: Misc Me & Mixed Media! Misc Me & Mixed Media! Hi! Ulrika here today bringing you some Misc Me using Felicity collection and some gorgeous acrylic paint from Pentart! 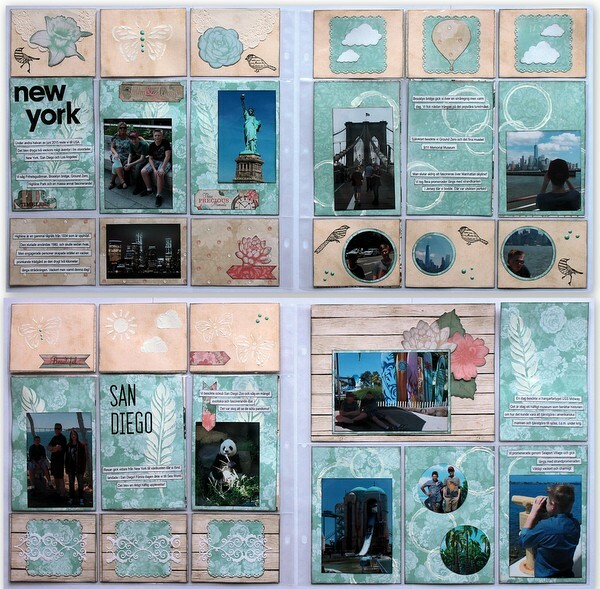 The pictures on these are from our trip to New York and San Diego in the summer of 2015. 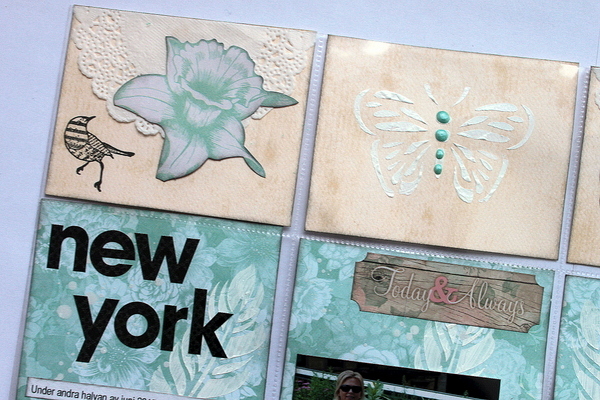 I used some doilies, die-cuts, stamps and stickers to decorate the paper pieces. 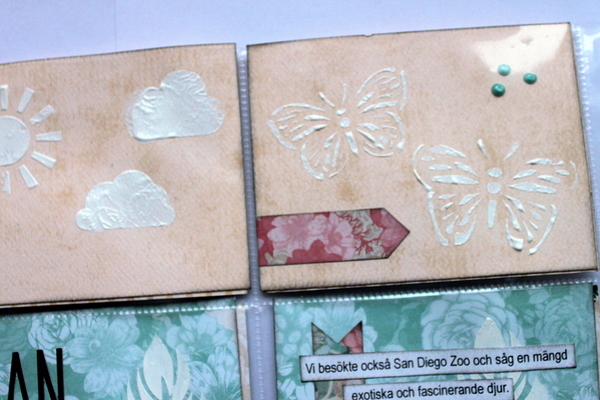 I also used Pentarts white acrylic paint together with stickable stencils. Here you can see a tiny bit of the white acrylic circles I made. I dipped the edges of an empty toilet paper roll in Pentart white acrylic paint and made this pattern. I also mixed some of the paint with a bit of water and made splashes. 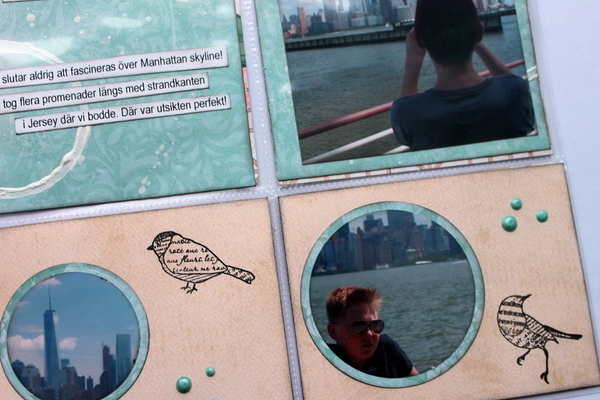 As you can see here I used more of the stickable stencils together with Pentart acrylic paint. I also used Pearlescents.